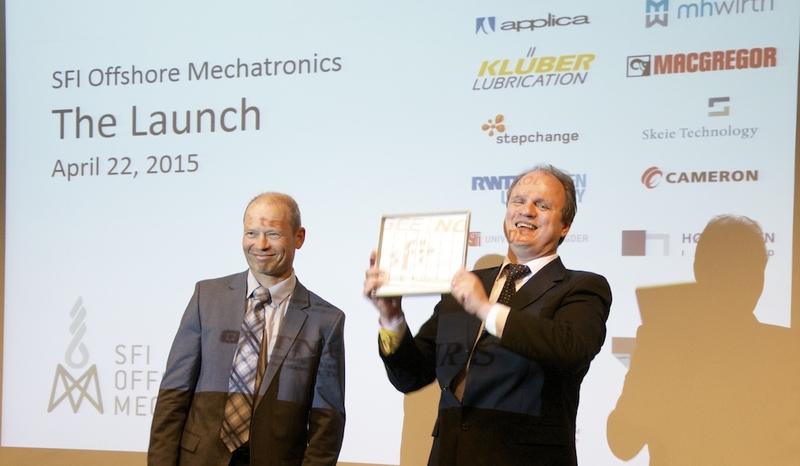 Eirik Normann (left) and Frank Reichert at the kick-off for Center for Offshore Mechatronics April 22nd. 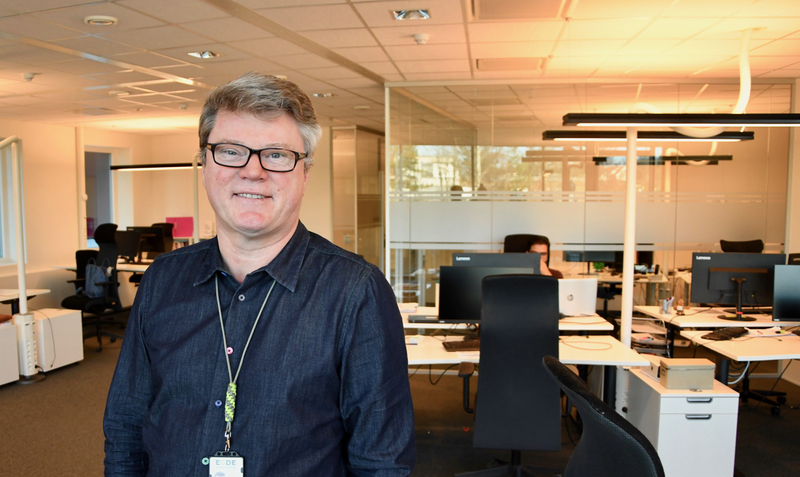 “It is my pleasure to welcome the University of Agder in to the exclusive club of SFI-hosts”, said Eirik Normann, Manager for all SFIs (Center for Research-based Innovation) in the Norwegian Research Council, as he handed the SFI-plaque to Center Director Frank Reichert. UoA, GCE NODE and partners in SFI Offshore Mechatronics are among the 17 out of 57 strong applicants selected for SFI-status last November. “An SFI is like building a national team of experts, and then strengthening the team with international top players. This is truly research at its highest level”, said Normann. Rector Torunn Lauvdal of UoA talked about how the university has evolved. ”It is only 8 years since the University of Agder was etablished. We have accomplished so much that it is easy to forget how young we are”, said Lauvdal. 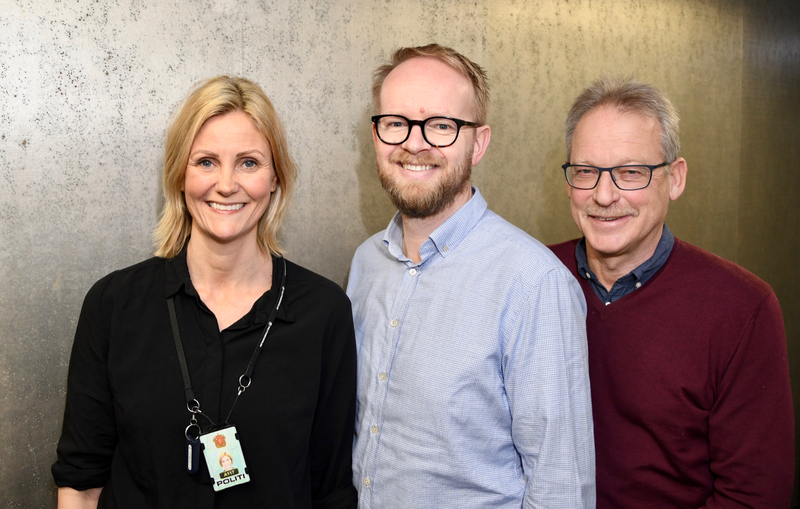 The SFI is the first ever in the Agder region. Over an 8-year-period, the SFI will generate research, development and innovation for approximately MNOK 192, half of which is paid by the state. – A world-leading business needs a world-leading university. 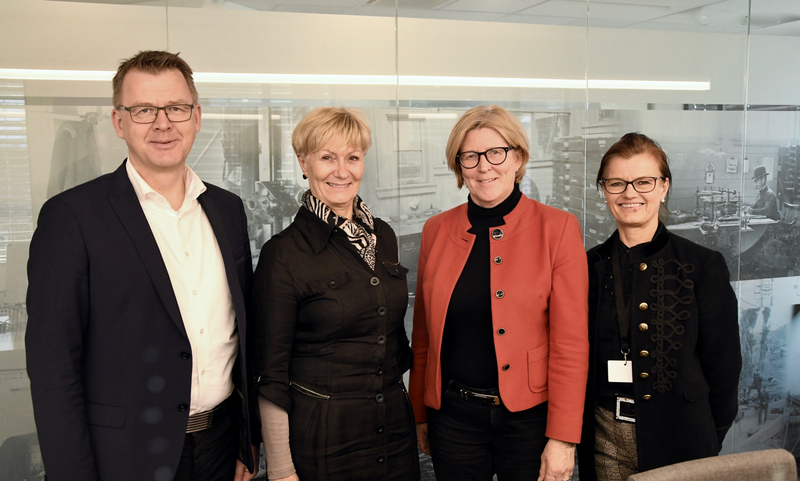 We are very happy to be part of the SFI and will contribute to making it a success, says Anne-Grete Ellingsen, CEO of GCE NODE.